We’re all used to updating our phone models on a regular basis. Whether our contract has ended or we simply want the latest model with the best features, we go through phones pretty quickly and often face the dilemma of what to do with our old handset. Do we sell it or just shove it in a drawer in case we need a backup one day? Selling as soon as possible is definitely the better option as phones go down in value with every passing minute. This process is called phone depreciation. 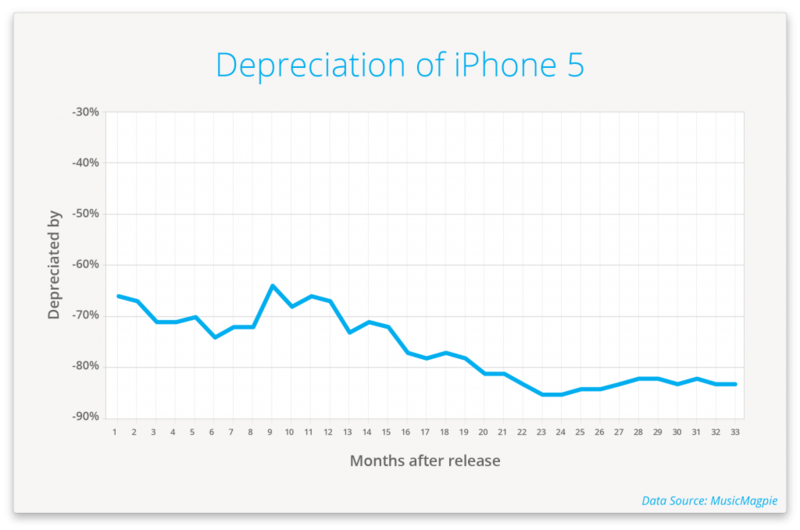 Phone depreciation is the difference between the cost of your phone at purchase and the amount you get when you sell it. Just like a new car depreciates in value as soon as you’re handed the keys (the AA currently report that a new car will lose 60% of its value after three years), mobile phones can lose their value quickly. The level of fluctuation depends on the phone model and, as expected, the initial cost and quality of the phone. Phones go down in value because they are replaced by better, faster and technologically superior models. A phone with a low quality camera, fewer colour choices and low memory is bound to be overshadowed by its top of the range successor. Demand for a certain phone model can also affect its popularity and consequently depreciate its value. If everyone wants the latest iPhone 6 model, its value will be much higher than its inferior cousin, the iPhone 5. 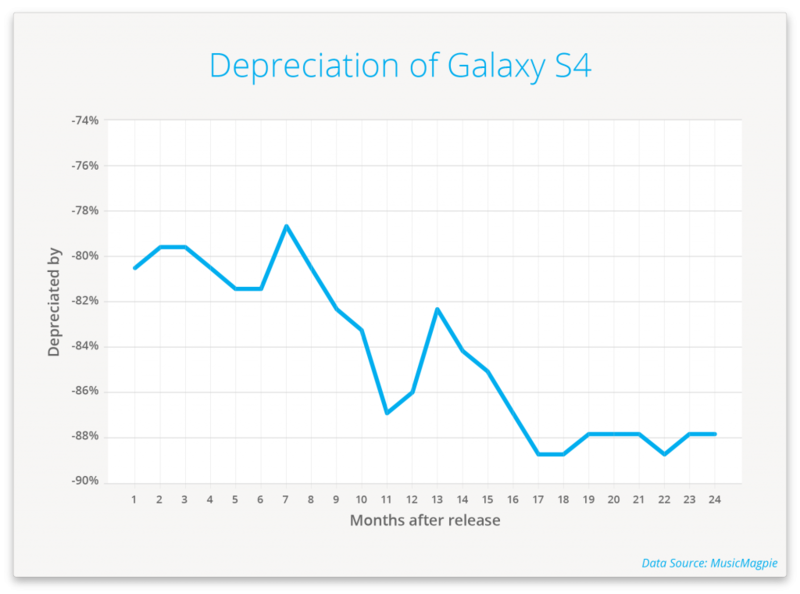 How does depreciation affect different phone models? 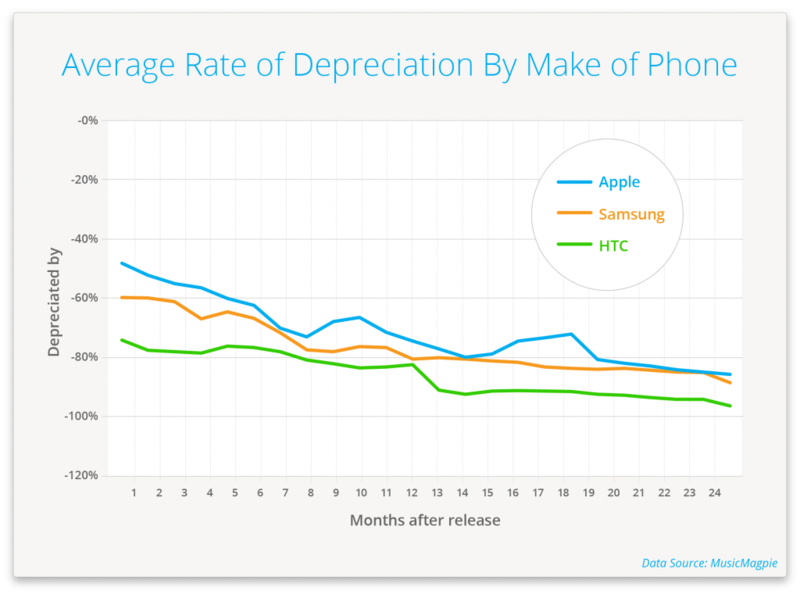 The question currently on everyone’s lips is probably ‘How much is my phone worth now?’ The value drastically fluctuates between models and, unfortunately, a large chunk of this value decrease happens within the first year of ownership. 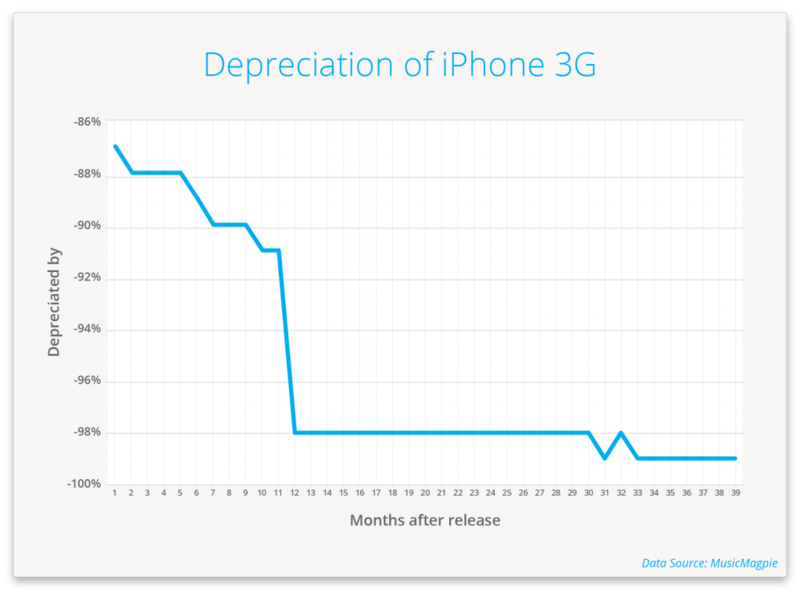 After this initial period, phone depreciation tends to occur at an average rate of 1-3% a month depending on the model. The highly anticipated Samsung Galaxy S4 released in 2014 lost half of its value within two months of appearing on the market. That’s nearly a £300 loss off its original selling price of £579. 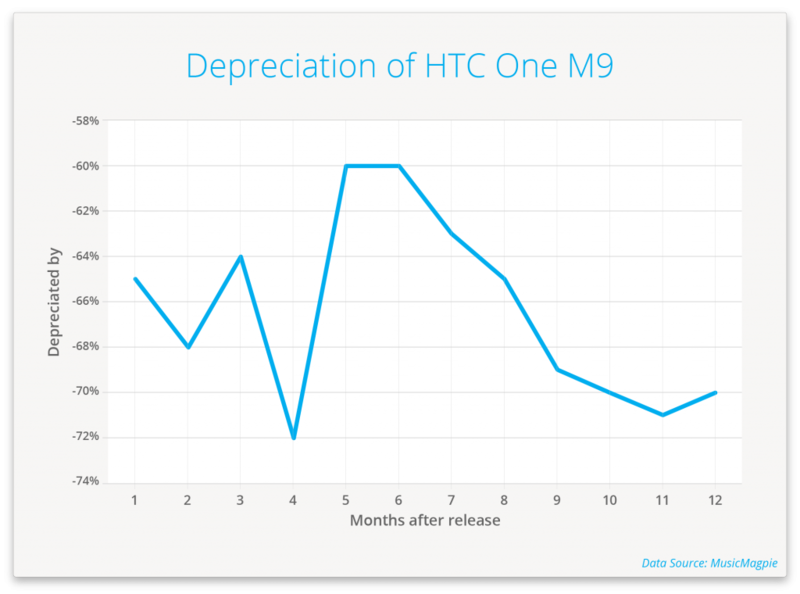 Perhaps the worst of the lot, the HTC One M9 sold for £579 when released in March 2015 and lost a staggering 65% of its value in just one month. We’ve got good news for Apple fanatics: iPhones tend to retain more of their value than any other phone. The iPhone 6 16 GB kept 50% of its £539 market value a year after release, and the trusty iPhone 4 continues to retain 39% of its value even 5 years after its launch. 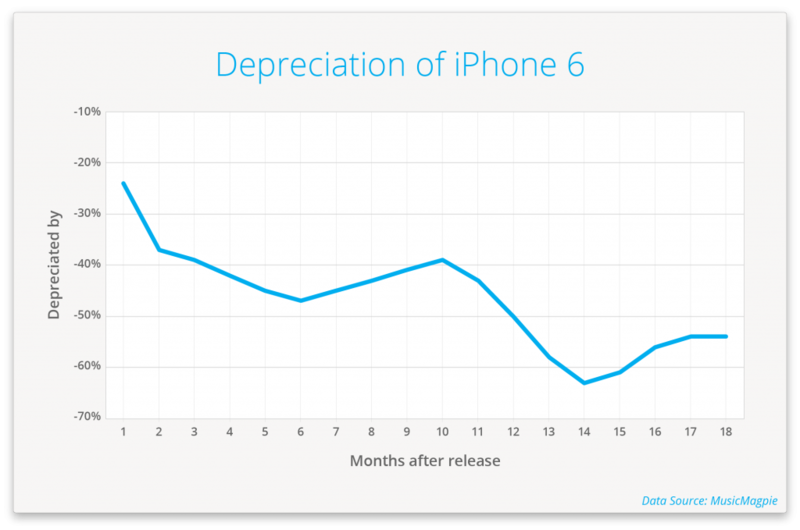 Only the iPhone 5 has depreciated significantly, losing 66% of its value after eight months. Is it worth buying an iPhone then? 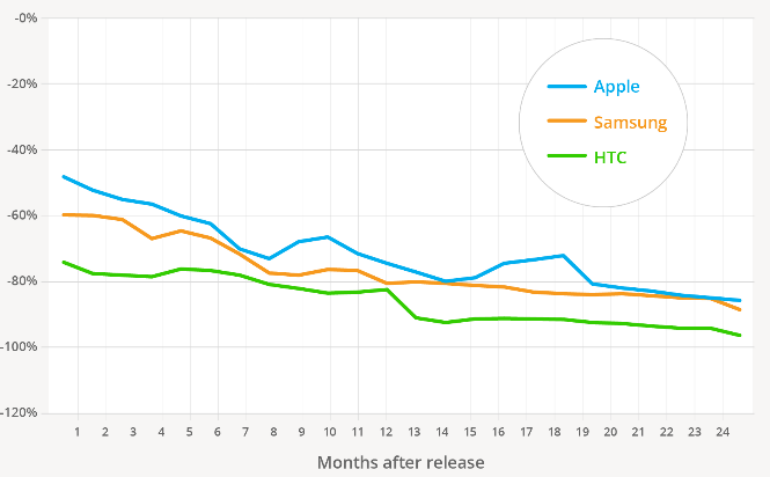 As you can tell, iPhones tend to retain their value much better than any other phone. Whether this is due to their significant and persistent popularity or just their high quality technology, it certainly makes investing in one an attractive proposition. Just like cars lose 20% of their value as soon as you leave the dealership, it’s expected that any phone will decrease in value the second you take it out of its box. 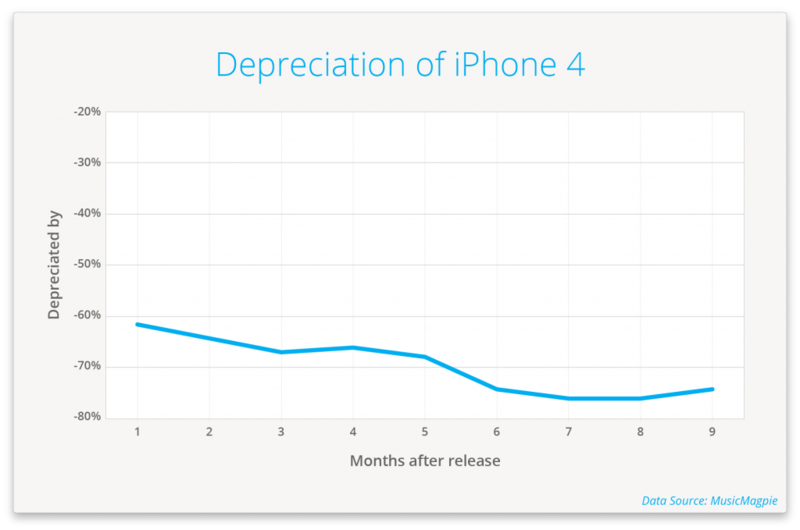 There may be some variation in how quickly different iPhone models depreciate, determined mostly by the release of an updated version, but they’re overall the best phone to own if you ever plan on selling on the second hand market in the future. Even if your old model has lost a large percentage of its value, it’s still worth selling up if it’s just sat gathering dust. It’ll only depreciate more over time so the optimum moment to sell it is as soon as you have a replacement. The market for selling second hand phones is huge and unless you are particularly accident prone and need a spare ‘just in case’, it’s definitely worth trading it in for some extra cash. Put it towards your next phone update or buying a new case for your current model- the possibilities are endless. Gather up your second hand devices and sell your phone with musicMagpie today. We’ll give you an instant price, fast same day payment, and we guarantee the first price we offer too – or we’ll send your phone back for FREE! ← Euro 2016: 8 apps to help you follow and enjoy the tournament even more!